Energean Oil and Gas, the London Premium Listed FTSE 250 and Tel Aviv Listed E&P company with operations offshore Israel, Greece and the Adriatic, has issued a Trading Update for the period from July 1 to November 13, 2018. The Group will publish a Trading Statement and Operational Update on January 16, 2019, while full-year results for 2018 will be announced on March 21, 2019, it has announced. On track to deliver first gas from the 2.4 Tcf Karish – Tanin development in 1Q 2021. Scheduled first steel cut on the Karish – Tanin FPSO for 26 November 2018. Targeting 2.3 Tcf gas and 31 million barrels liquids gross prospective resources with a high probability of success through the 2019 Israeli drilling programme. Aiming to fill the 3.8 BCM per annum (‘bcma’) of FPSO spare capacity in the medium term. Identified strong incremental demand for gas with future sales contracts targeting growing domestic and regional export markets. Expecting first oil from the Epsilon extended reach well in late 2018 and achieved first steel cut on the Epsilon jacket on 26 September. Started trading on the Tel Aviv Stock Exchange (“TASE”) on 29 October and expecting to enter the TA-90, TA-125 and TA-Oil & Gas Indices. Strengthened the senior management team with the appointment of Iman Hill as Chief Operating Officer. Well-funded for all development projects. At 30 September 2018 the group had gross cash of $289 million (net cash $160 million), plus liquidity of $68 million under its RBL and $1,275 million under its project finance facility. “Our developments are on schedule and we have an active programme of drilling in both Israel and Greece in the months ahead, targeting significant increases in prospective resources and production. Energean’s Karish and Tanin development remains on track to deliver first gas into the Israeli domestic market in 1Q 2021. The next visible milestone will be first steel cut on the FPSO hull on 26 November 2018. Karish development drilling will immediately follow the Karish North well. Three development wells will target Karish Main with completion expected by 2019 year end. These three wells will deliver 4.2 bcma (c. 406 mmcfd) of firm gas sales into the Israeli domestic market from 1Q 2021. Gross production capability of the three wells is expected to be far in excess of the 4.2 bcma requirement. 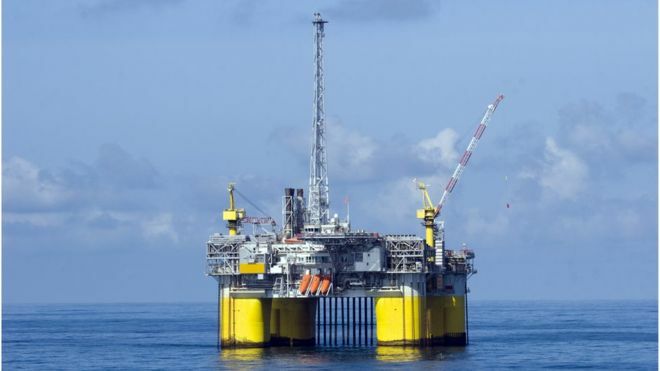 The subsea workstream, managed and executed by TechnipFMC under the $1.36 billion lump sum turnkey EPCIC contract signed earlier this year, is progressing in line with expectations. Energean has recently awarded a second contract to Wood. The latest contract, effective immediately, is to provide operations and maintenance manpower and specialist engineering services over the next five years. This follows an earlier two-year contract, awarded in April 2018, which involves the preparation of systems and procedures to ensure safety and efficiency in all aspects of the pre-operation period. Energean sees strong incremental demand for its gas and future gas sales contracts will target both the growing domestic and key regional export markets. Over the medium term, Energean aims to prove up enough resource to fill the remaining 3.8 bcma of spare capacity in its 8 bcma FPSO and fulfil this additional demand. The Company’s 2019 drilling programme will target 2.3 Tcf of gross prospective gas resources and is well aligned with its exploration strategy to target resources that can be quickly, economically and safely monetised. Planning for Karish North is currently being concluded. Spud is expected in March 2019 and drilling is forecast to take 45 days. Karish North will directly target 1.3 Tcf of gas and 16 million barrels of liquids (gross) with a volume weighted geological chance of success of 69%4. Energean is of the view that success at Karish North could have a positive read-across to Karish East; technical analysis indicates that the fault between Karish North and Karish East does not form a barrier and, therefore, does not limit the extent or flow of any hydrocarbons. Karish East contains gross prospective resources of 0.5 Tcf of gas and 7.5 million barrels of liquids with a volume weighted geological probability of success of 70%. Karish North will also provide important read-across information for the Karish Main structure. The exploration component of the Karish Main wells consists of drilling into the deeper D sand horizons, which have been proven in the Tamar field (upper D sands) and Aphrodite (lower D sands) discovery. Energean believes that Karish Main drilling offers additional upside beyond that reflected in NSAI independent estimates.